A young mother who was seriously injured in a car crash in Bundoran in County Donegal says she has made a "miracle" recovery thanks to the power of prayer, and is determined to walk again for her beloved three-year-old son. 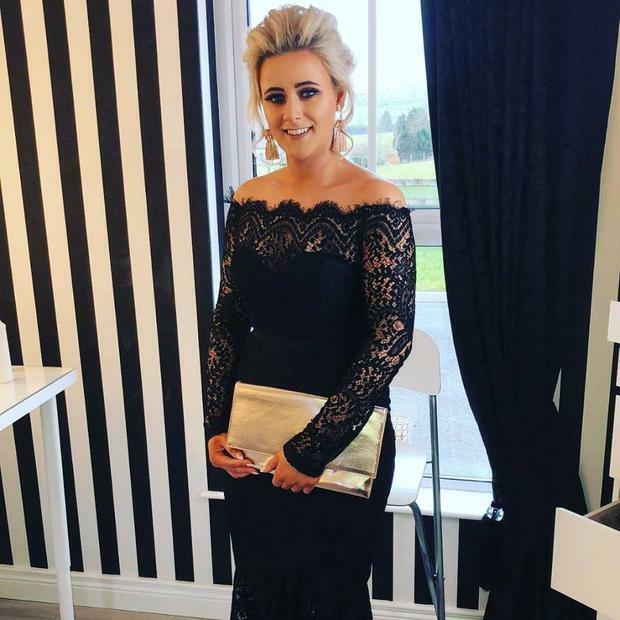 Rachel Elliott (25), from outside Irvinestown in County Fermanagh suffered injuries to her brain, back and pelvis after she was thrown out of the back window of a blue Peugeot 306 when it hit a wall in the seaside resort of Bundoran almost three weeks ago. Two of the six people who were travelling in the car - mum-of-one Shiva Devine (20) from Belleek and Conall McAleer (20) from Kesh - died. Two other men were seriously injured. Rachel was transferred to Dublin's Beaumont Hospital from Sligo University Hospital, where she had been on life support. Her devastated family had feared she would not survive or could be left brain damaged if she did manage to cling to life. However, brave Rachel began to emerge from a coma on Sunday and yesterday told the Belfast Telegraph from her hospital bed in Dublin that she would fight her way back to health for little Ronnie. "I genuinely think that the most important thing which has brought me through this has been the power of prayer, in addition to the work of the doctors," the young mum reveals. "Even the doctors are saying it's a miracle that I pulled through, as my injuries were so bad. "Three weeks ago my family thought they would be organising my funeral. "My back is aching and I can't walk, although I can still feel movement and pins and needles. "I hope that when I get back to Belfast for rehab it will improve and I will be able to start walking again. "My pelvis was shattered in the accident and I did something to my back, so I have only got the stitches removed. My head was also hurt. The doctors are saying they aren't sure if I'll walk again, but I am hoping that I will be able to do it in six or seven months." Rachel is set to be transferred from the Beaumont hospital to rehab in Belfast today to begin physiotherapy which she hopes will help her walk again. Her sister Donna shared the good news on Facebook, writing: "What a crazy two and a half weeks everyone. Rachel is being moved now to Belfast to get over her last hurdle. It's been an absolute miracle she is here today with us. "I want to thank everyone from the bottom of our hearts, without your prayers I don't think I'd have my sister here today," her sister said. Rachel hopes that when she gets back to Belfast for rehab, she will be able to start walking again. "My pelvis was shattered in the accident and I did something to my back, so I have only got the stitches removed. My head was also hurt. The doctors are saying they aren't sure if I'll walk again, but I am hoping that I will be able to do it in six or seven months," Rachel said. Rachel says she can't remember anything about the car crash and that her last memory is of her close friend Shiva. News of Shiva and Conall's deaths was broken to devastated Rachel just a few days ago, as she recovered in hospital. "When I was lying in my hospital bed I heard the nurses and doctors talking about a bad accident, but I didn't know that I had been in it," she admits. "It has only been over the course of the last five days that I have come back to myself. "The last thing I remember is sitting with Shiva in a pub in Belleek. "When I was transferred into the ward on Wednesday, they had to break the news to me that Shiva and Conall had died. "I was told by a priest and two school teachers - I had been asking questions and had wanted to ring Shiva. I broke down, I still cry when I go to sleep at night and I wake up crying in the morning. "I can't understand why I got another chance and she didn't. I keep wondering if I spoke to Shiva at the scene of the crash - did I get the chance to say goodbye or did I see her die?" Rachel says one of the "most devastating" things was the fact that she was unable to attend her friends' funerals. "Our friends have all had the chance to say goodbye," she says. "I have a very good relationship with Shiva's young son and partner, so at least I will still have a part of her. "And Conall was lovely, so nice, you couldn't have said a bad word about him." Rachel is determined that she will walk again for her young son's sake. "I constantly think of Ronnie and I'm working to be better for him," she adds. "He is my baby - the only one I've got. "I missed his first day of nursery due to being in hospital - that really hurt. I'm trying to stay strong and positive. "When I first saw Ronnie after the accident he hugged me and told me he wanted me to get better. "He gave me flowers and balloons. "He doesn't really understand what is going on, but I want to be back walking for him." Rachel says she hopes to start fundraising in memory of Shiva and Conall. "Nothing will bring them back, but it would be good even if it's just for a headstone or to get things for Shiva's cub to make it better," she adds. "I would also like to raise funds for the hospitals who have treated me." Another key factor in Rachel's ongoing recovery, and in her family's strength, particularly in the dark days following the accident, was the support they received from the local community. "I couldn't believe that so many people sent me messages, cards and rosary beads," she says. "I do believe that it helped get me through, and the support my family received was unbelievable. "I definitely believe that the power of prayer really helped me - I don't understand how else I could have pulled through. A lot of people think it is just a complete miracle that I am still here and talking." "I genuinely think that it is prayer which has brought Rachel through this, and the support we have received is incredible," Susan says. "I would like to thank everyone from Sligo University Hospital and Dublin's Beaumont Hospital and also the lady who gave us a room to stay in. "Our thoughts are with the families of Shiva and Conall at this sad time. "We would like to make it clear that we don't bear any ill will towards the driver of the car that Rachel was travelling in." A man in his 20s who was arrested after presenting himself to the Garda on the morning of the crash and was released without charge that night. Looking to the future, Rachel says she "just wants to live a simple, happy life". "Every day I shed a tear," she adds. "It hasn't been easy, it has been difficult, and I try to keep my tears to myself in my room. "There are times that I do cry, I can't help it, but I'm determined to get back to my old self and to change for the better."